Picking a toothbrush and toothpaste is an important part of oral hygiene. Brushing twice a day is the best protection from tooth decay and gum disease. It helps remove food particles and plaque that are left on a person's teeth and gums after eating. The bacteria in the mouth convert these food particles and plaque into enamel-damaging acids that can lead to dental issues like cavities and tooth infections. It is often best to go with a toothpaste that contains fluoride and has the American Dental Association's seal of approval. Fluoride has anti-cavity properties and helps fight tooth decay. It does this by strengthening teeth enamel, which is a natural protective barrier for the dentin. People who often find their gums bleeding after brushing or with a reddish color should look for a toothpaste that fights gingivitis, the early stage of gum disease. These types of toothpaste have antibacterial properties and attack the root of gum disease: bacteria in the patient's mouth. People who often find themselves wincing when consuming hot or cold foods and beverages should look for a toothpaste that has desensitizing properties. These toothpastes contain ingredients that block the tubules in a person's dentin and soothes the nerves in the mouth. It should be noted that sensitive teeth are typically a symptom of a more serious dental issue, so it is also a good idea to visit a dentist when dealing with this issue. When plaque is left on a person's teeth for prolonged periods, the end result is often a buildup of tartar. This is calcified plaque that gives the person's teeth a yellow color. While tartar-fighting toothpaste are not anywhere as effective as a dental cleaning when it comes to removing tartar, it can be an effective way to minimize dental cleanings between appointments. Certain toothpaste can also be used to remove surface stains and brighten teeth. However, these products are best used to preserve the color of teeth after getting whitening treatments. Soft-bristled toothbrushes are often recommended by dentists. These help reduce the risks of damaging teeth enamel when brushing. The shape of the bristles on a toothbrush is also important. Rounded bristles are often best, since they are less likely to damage or irritate your gums. Toothbrushes with multilevel or flat surfaces are often recommended by dentists. These remove food particles and plaque more effectively than their counterparts. Naturally, it is best for people to select a toothbrush that is easy and comfortable to hold onto while brushing. 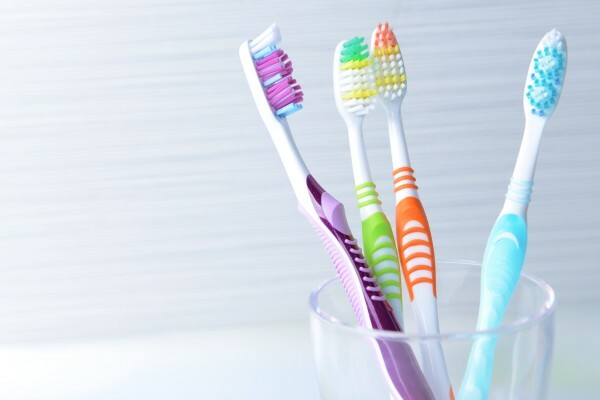 Contact one of our dentists to learn more tips for picking a toothbrush and toothpaste. For more information or to schedule an appointment with Yanase Dental Group, request an appointment in our Torrance dental office here: https://www.yanasedds.com. Or call us at (310) 736-1063.